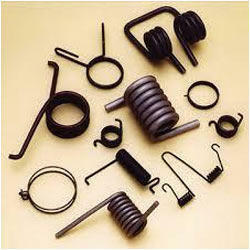 Pioneers in the industry, we offer switch spring, electrical switch spring and metal switch spring from India. With the assistance of modern technology and highly sophisticated machines and tools, we are engaged in manufacturing a supreme quality assortment of Switch Spring. This range is developed utilizing premium grade raw inputs and highly modern machines, handled by dexterous engineers. 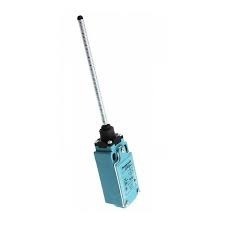 Known for their flexibility and efficiency, these products are highly demanded in the market. Being a quality conscious organization, we are highly dedicated and committed towards offering an unmatched collection of Electrical Switch Spring. The raw material used in the manufacturing of these products is tested before procuring them from our vendors and we make sure that we buy them from certified suppliers of the industry. In addition to this, we are known for timely delivery of products at our clients’ doorstep. 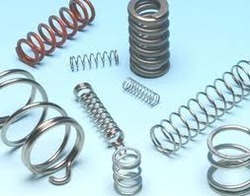 We offer a complete range of Metal Switch Springs for industrial applications. This range includes clips, clamps, springs etc. All the fabrication work is done using sheet metal components. We offer customized solutions for our clamp springs as per the specified requirements provided by our clients. We also design and manufacture fabricated and machined components as per the requirements of our clients. Looking for Switch Spring ?